Generated and managed (16) social media assets for three brands on a daily basis including Facebook, Twitter, Instagram, Pinterest, Snapchat, YouTube and Vibes Texting Platform. Established social media guidelines, growing followers by over 25% with a weekly reach of over 1.5 MM. Live social media production for Chicago’s #1 morning show, The Eric & Kathy Show. Produced brand marketing for web, on-air and social media platforms for major station clients such as Dunkin’ Donuts, Chevy, Walgreens, Pepsi, Groupon and Chick-fil-A. Coordinated with Web, Sales and Accounting departments to generate social media based revenue for all Hubbard accounts averaging over $1MM annually. Managed blogs, contests and photo galleries on wtmx.com, wshehicago.com and wdrv.com. Managed creative department for marketing agency offering services in creative, experiential, events, sports & entertainment and communications. Hired and managed departmental staff. Key contributor to ideation process and provided art direction for client communications. Produced artwork for clients including Volkswagen, Ferrari, Pepsi and Formula One. Established social media strategy, developed web presence including SEO and analytics. Researched and developed new business strategy. Integral part of RFP process. Field Manager for US marketing tour for launch of world’s most popular sports video game, FIFA 2013. Oversaw staff and event stops from New York City to New Orleans. Nurtured relationships with athletes and partners including Major League Soccer and Under Armour. Contributed content marketing to social media channels to inform fans of tournaments, tour stop locations and provide visual entertainment. Worked remotely with EA Sports and rEvolution to develop and implement viral marketing initiatives. Managed a Chicago Cubs event marketing initiative while contributing content to MLB social media channels. Generated excitement for the Chicago Cubs in-person and online while working with the front office daily. Field manager for the inaugural year of a Cubs Charities program, Cubs on the Move. Traveled to NBA cities to produce digital content for NBA on ESPN social media platforms. Main content contributor for NBA on ESPN Facebook page as well as NBA on ESPN RV social media accounts. Grew Facebook page from ≈ 80,000 to over 300,000 over the course of one season. Coordinated with athletes and agents for appearances at our experiential footprint. Worked remotely with ESPN, ABC, rEvolution, Hanes and major NBA arenas to identify and develop new digital content delivery strategies and opportunities. Traveled to college football games for an automotive brand experiential marketing tour. 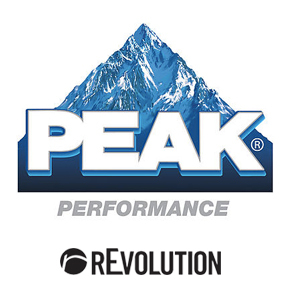 Shared content via Peak’s social media channels. Helped increase Facebook “likes” by 25x. Managed marketing team and brand ambassadors. Corresponded with internal teams at rEvolution Sports Marketing and Peak Performance daily. Produced and directed drone videos for major real estate developer, Moran & Co.
Social Media/Web Content Contributor for ESPN Truehoop Network. Established digital marketing platform for retail tool superstore, Berland’s House of Tools. Content, graphics, presentations and consulting for non-profit, Erase Child Trafficking. Graphics work for Apparel Media’s client base including Verizon Wireless. Creative/Marketing for Newman Real Estate and RNP Marketing Group..